In this mammoth episode, join Dan as he talks about his favourite subject in Age of Sigmar - MOONCLAN GROTS! Clocking in at just shy of 2 hours, this episode is absolutely stuffed with Squiggy awesomenes as Dan is joined by Nick (@slaaneshfiend) who recently took first place on the podium at the Warhammer World GT Heat 3, shocking everyone with his victory with a Squig-heavy army. Find Nick on Twitter here! Find Dan on Twitter here! Find Chalmers on Twitter here! Buy your new Moonclan Grot army here (#newfilth)! Yes we are finally back! Chalmers and Dan have been reforged and we are back for Episode 18 of the Tales of Sigmar Podcast! 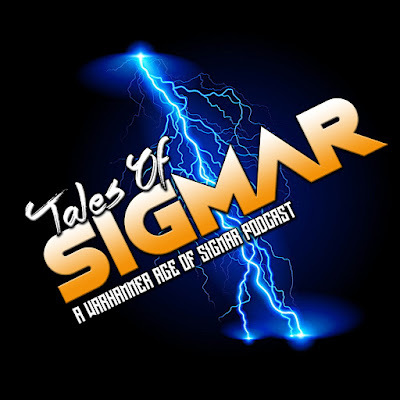 In this episode, we chat about the upcoming releases for AoS, cover Chalmers running the Summer Massacre 2017 Tournament at Newcastle Warlords and as ever answer all of your questions. We're going to be back frequently now aiming to get episodes out every fortnight, up next episode we have Nicholas Thompson who won Heat 3 with Squigs!